A few standard things to write in the class profile are: number of students in the class, genders, ages, learners’ first languages, reasons for learning English, notes on stronger/weaker students etc. Class dynamic – do the class get on well? What’s the atmosphere like? Do they respond well to certain interaction patterns? Do certain students make good pairings? Behaviour management – any troublesome pairings? Any ongoing behavioural issues (things like kids using inappropriate language, low-level disruption)? What rewards/sanctions are used? Routines – how are instructions delivered (e.g. with students at their tables, on the floor, etc)? Do you have entrance/exit routines? How/When is homework checked? Do you have a points system (links to behaviour management)? Do you give students jobs in class? Is there a seating plan? Other info – anything relevant… for YLs, it’s worth noting down what games they know and like. Why be so thorough? Because if someone is covering your class this information could be useful. Working beyond – these learners have achieved the objective and require greater challenge or extension. This approach has numerous benefits for the learners and teachers. From a teaching perspective, it helps to differentiate tasks when planning, and it makes formative assessment easier. When you take a training course like the CELTA, tutors will highlight ‘action points’ – things you could improve on or work on for the next lesson. We had to list these on our plans. If you’re being observed at work, why not include some action points on your plan? You may not be training anymore, but there must be some things you could improve on. Action points will give your observer a particular focus for the observation, and you could get some really useful feedback. Language analysis… attention to detail! Mark the phonemic script next to target language, INCLUDING STRESS. Phonemicchart.com might help. On a CELTA-style language analysis sheet there may be a section like ‘I will convey/check meaning by…’. Use this in your own plan. Write down your concept checking questions (CCQs). Have a copy of your plan available when teaching – refer to it so you remember to use the CCQs! Oh yeah, and because this is more specifically about young learners, think carefully about the methods you use to convey and check the meaning of target language. Total Physical Response (TPR), visuals and realia were popular methods on our course, but it depends what’s relevant I guess. One more thing – CELTA templates often have the ‘what my whiteboard will look like…’ section. Include this in your plan too – it’s good to visualise what you want to achieve. I found it useful for my tutor to glance over my plan before I handed it in. 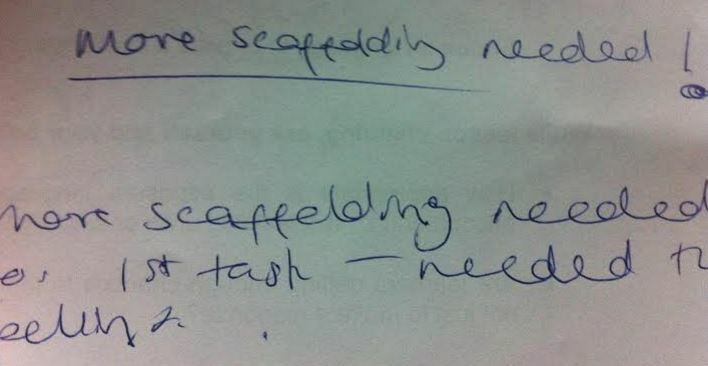 They commented on how wordy it was, suggesting it would make it hard for them (and me) to follow during the lesson. It’s a fair point! If you’re teaching YLs, it’s important that activities ‘draw on a range of sensory modalities’ (Simmons and Paul, CELTYL, 2016). Whilst the VAK neuromyth perpetuates (as I mentioned last month) it is undoubtedly good for learner motivation and engagement if you mix things up in class, including a range of visual, auditory and kinaesthetic tasks. Once you put your plan together it might be worth skim reading your procedures and assessing how varied your tasks are – that means not only the task design, but the interaction patterns too. It’s all about variety! Geeky tip coming up… I separate this into two sections: ‘the students will bring’ and ‘I need to bring/make’. That means I can look back at the plan and note down all the resources I need to prepare. Did that sound a bit pedantic? Life skills and whole child development are often overlooked in ELT. On a CELTA lesson plan there is normally space to describe the lesson type – skills (reading, writing, speaking, listening) or systems (vocab, grammar, pronunciation). Don’t forget, with YL classes you are doing more than just teach a language. Think about whole child development – there might be activities in class that help learners with their overall development (emotional, social, cognitive, etc). These are worth listing in your lesson plan. Whether it’s ‘encouraging collaboration’, ‘developing ICT literacy’, ‘understanding emotional responses’, etc. These are equally as important as learning a set of new words. Put them in your plan. During our CELTA YL course we were teaching in a group. The aim was for us to create a cohesive set of lessons across the day and throughout the module, meaning collaboration was important. You might be teaching your YL class on your own, but think about the bigger picture. Where does your lesson ‘fit’ in with the syllabus or the module you’re teaching? Is it a one off, or are you building towards something in later lessons? This could be important for the observer to know. This goes back to the earlier point I was making about differentiating objectives. Remember to plan additional activities or materials for fast finishers, so they are always engaged and challenged. Mark these on your plan – even if you don’t end up using the extension tasks it’s good for an observer to know you prepared them. Are my activities suitably challenging, interesting and motivating for my learners? Are there ample opportunities in the lesson for learners to share their own ideas, and to practice using the target language? Is the target language actually meaningful? What will students learn (or do) at each stage of the lesson, and how does this fit into the lesson as a whole? Make sure you write stage aims and purpose for each part of the lesson. P.s. for tips with structuring lessons, you might find these frameworks useful. ‘make sure your content is culturally appropriate. I teach English in Cambodia in a small village and before that in Vietnam in isolated towns, including Sapa. So many texts contain inappropriate content’. Thank you Pete for sharing your ideas about lesson planning and the key points you learnt from your YL course. Reflection is a great tool for learning and you are honest and frank about areas which need developing. 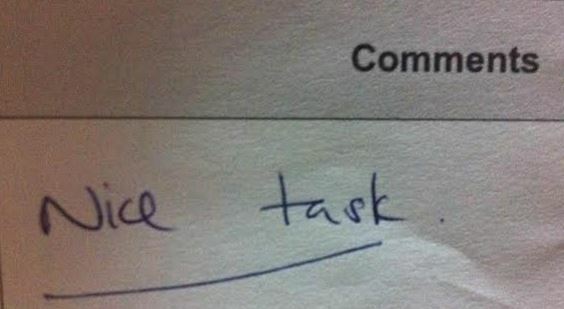 Well done for being so honest. I’m not sure I could be. I’ve just carried out 2 YL observations and would love to share this post with the teachers if you don’t mind? I really like the thinking about the whole child section – something I don’t always properly think about but so important. Hi Helen! Interesting question for you – how do you plan on a daily basis? I mean, not for formal observations… What does your ‘plan’ look like? Mines just a load of bullet points reminding me of the stages, then some notes to remind me of certain things – very sparse. I’d be interested to hear what you do, and what other teachers do for that matter! Please feel free to share the post, that’s a real compliment! Re: whole child development and on differentiation – these were pretty big things in our Primary Plus training. My usual ‘plan’ is a kind of flow chart with text, diagrams and lots of squiggles. I don’t really think I look at it in class, it’s more a process to go through beforehand. I will definitely share your post because it’s the range of considerations which matters to me, not because I think people should plan like that very day! Thanks! Can I ask where you took this course? Hi Judith. I currently work for the British Council in Bangkok. This course is offered to teachers as part of our professional development programme. I understand that the CELTA YL extension is being phased out, but you can take a similar course with Trinity College London (the TYLEC course). I’ve heard great things about it. If you want a bloggers view on that course, contact Martin Sketchley (www.eltexperiences.com), he took it a few years ago. Thanks for commenting! At the end of the day we are preparing our students for life outside of school and teaching only subject content would see them extremely ill-prepared! Hey Lisa, thanks for commenting. Know what you mean about helping learners develop these real world skills (competencies). It’s a big part of the UK curriculum too, and in my current context there are such competencies addressed in the Thai curriculum. I feel from a TEFL standpoint that these are overlooked a bit. 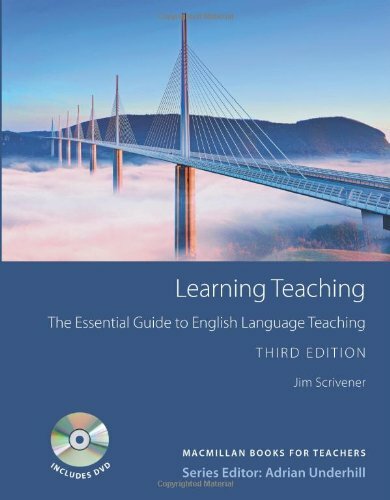 We’ve just launched a new product at the British Council for primary level learners, and I was pleased to see that it covers whole child development. The topics aren’t too dissimilar to the ones you’ve mentioned. I could be wrong, but weren’t you a state school teacher in the UK before moving to Spain? Do you feel the UK and Spanish education systems focus on whole child development to a fairly similar extent? To be honest it’s been such a long time since I taught in Britain (1999!) things are quite different now; at least that’s what I hear on the radio and from ex colleagues over there. When I did my teacher training for MFL in 1996, the emphasis on similar key competencies wasn’t so obvious (maybe interpersonal skills and cooeration, collaboration in group work) and I certainly don’t remember much about them on the CELTA course back in 1999 (mine wasn’t a YL course, although that shouldn’t make a difference; some adult learners equally benefit from working on life skills as well as content) From what I hear there is a much greater emphasis in the UK now on similar competencies, however I can’t speak on the matter with much authority as I’m not that familiar any more withthe curriculum. Certainly in Spain (on paper), there is a definite push towards working on these key competencies. I would be interested to hear from anyone who does more about the situation in the UK. Just a word on ‘Action Points’. If you set a manageable number- I think you suggested 3, this is really helpful and probably achievable. But it doesn’t help you, or any observer if they are just general things. Like a wish list. For example, ‘improve my instructions’. 1.make sure I stand where everyone can see me. 2.Instructions BEFORE I circulate he handout. 3.Monitor immediately to check everyone is on task. These are things that you and an observer can easily observe for and assess the effectiveness of. Hi Nicky. Absolutely agree. I will add your comments to the post when I get a chance, just in case people don’t see them in the comments. Is that ok? Some great ideas here and I hope you don’t mind if I steal your ‘Success Criteria’ for my own Lesson Plan templates! Using a 3-point system (working towards, at, beyond) is a simple and elegant way to get trainee teachers assessing to what extent learning aims were met. Hey! Cheers for the comment. Feel free – if I knew where I got the idea from I’d have referenced it but certainly not mine! Granada, wow, sounds lovely. I’m jealous! Reblogged this on Mattannhang’s Blog.